Alternatingly verbose and quiet, at turns epigrammatic and conversational, somber and playful, philosophical yet unapologetically profane… Tone to tone, [these poems] move to and fro, from the sublime to the utterly absurd. These poems dance on little hairy hooves… But that’s Ramil for you: he operates on his own bizarrely distinct aesthetic logic. 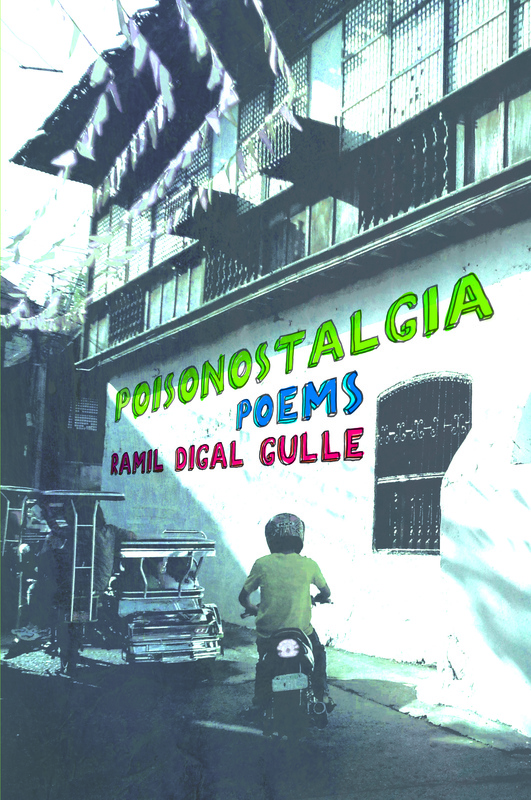 No one writes like Ramil Digal Gulle … Hayup ka talaga, Gulle. Lourd De Veyra, broadcast journalist and author of Insectissimo and Super Panalo Sounds! Poisonostalgia is a case against complacency. Here is a collection that manifests these times’ needed dexterity in both lyric and narrative poetry. It pokes fun where it must, pulls multicolored rabbits from a sequined hat. Here the poet tackles myriad concerns of modern urban living, in both sparse and complex diction, in experimentations with form. From ruminations on ruin and passing to declarations of distrust and disgust with the fake and the artificial, Gulle’s new book of poems is unabashed and undaunted. “Quietly as quite:/if no wing/nor word/arrives” the poet writes, because not all nostalgia is an avenue for catharsis. And often the best recourse is not to stare, but to speak. With this new book, Ramil Digal Gulle continues his [strangely poetic and poetically strange] adventures in our mental badlands. This time [he explores] how memory can be pain or pleasure and often a bitter drug of both.